Baselworld 2013 is only a few days from now and we are getting very excited about all the novelties we are going to see there. OMEGA is one of the manufactures that is putting on-line some previews on their Facebook website already. 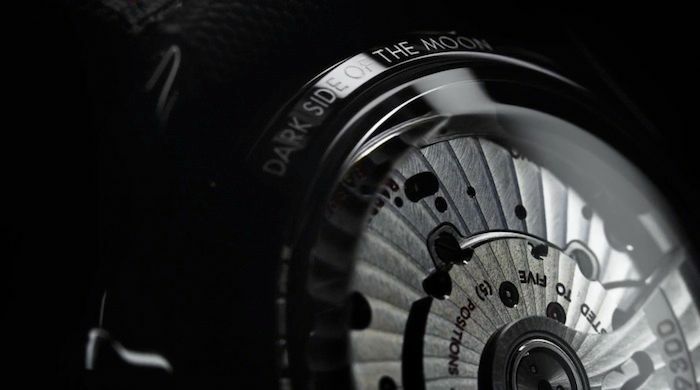 The Speedmaster 9300 Dark Side of the Moon is getting quite some attention everywhere. Although we am not sure yet, it seems to be a 44.25mm Speedy 9300 with ceramic bezel and either PVD or DLC treatment. The new Speedmaster 9300 watch is making quite some noise on forums and blogs already. This Speedmaster “Dark Side of the Moon” edition with the caliber 9300 chronograph caliber is the talk of the town over at our Australian friends of OmegaForums.net. If you are not familiar with OMEGA’s Speedmaster 9300 family, make sure to read our Speedmaster 9300 reviews. One Speedy 9300 review is from our own hands and one is written by guest contributor ?ukasz Doskocz of Chronos24.pl (click here). The Fratellowatches team will have its first official Baselworld appointment with OMEGA on Thursday 25th of April at 9:00. Expect to see the novelties the same day on Fratellowatches. For (almost) live coverage, make sure to follow our #instagram account (instagram.com/fratellowatches or @fratellowatches). More information and previews can be found at the official Facebook page of OMEGA.